We asked Miracle Edohasim to answer some questions about SOPA and share some insight on his priorities and expectations for his arrival in Canada. Q. Can you tell us about your background? A. My name is Miracle Edohasim. 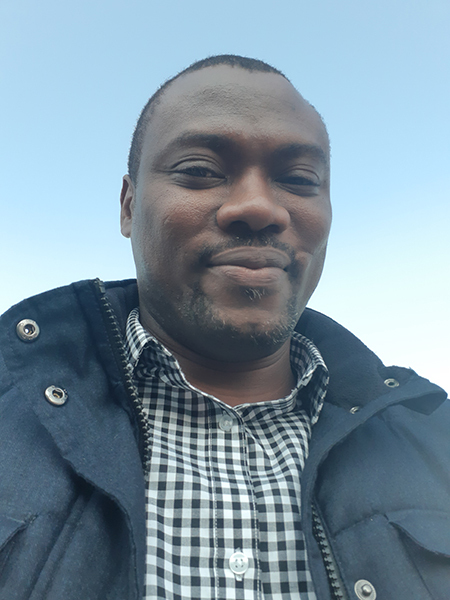 I arrived in Atlantic Canada in April of 2018 from Nigeria. Q. Can you describe your employment journey in Canada? What steps did you take while still overseas? How long did it take you to find employment? Are you working in the same field or an alternative occupation? A. Before I left Nigeria, I made securing a job in Canada a top priority. To achieve this I decided to enroll in SOPA online courses that took me through understanding various aspects of the Canadian work environment and ethics, Canadian resume, Canadian style of job interviews, Canadian culture, etc. By the time I landed in Canada, within two months, I secured about three jobs. I finally decided toaccept the last one that I was more comfortable with. Though my current job is in different industry, my job requirement is the same with what I have been doing over the years in my home country. Q. How did SOPA change your approach to find employment in Canada? A. SOPA prepared me to expect NO for an answer as well as YES when I am looking for job, but never to give up. SOPA exposed me to the right way to write resume and answer interview questions. I learnt the different ways of seeking and finding job opportunities. Q. How did the Canadian partner organizations help prepare you for the job market and settlement in Canada, before you arrived in Canada? A. These settlement agencies did a great job of welcoming and providing an orientation for me. In fact I already had a set appointment date with them before I arrived in Canada. Thanks for the referral from SOPA. Q. What strategies did you use to find a job in your field, in a related field or in an alternative field? A. I used online job search engines, job sites, job fairs and networking. Q. Describe any challenges you faced in your job search process and the steps you took to overcome these obstacles. A. There were jobs I could not pass the interview because I could not really recount my past accomplishments. But these failures prepared me to face other job interviews better prepared. I understood that the Canadian workplace puts more emphasis on accomplishments and expects one to be able to prove those accomplishments. It is not enough to just have those accomplishments in your resume. Q. Do you have any tips for other newcomers in terms of finding employment in Canada? A. Open yourself to learning. Accept the fact that it can never be like the place you are coming from. Never start looking for a job unprepared, you will be disappointed if you go unprepared. You need to be open to networking. Use different job search strategies. Use every opportunity to get Canadian job experience no matter how small, that experience may be what will land you your next dream job.